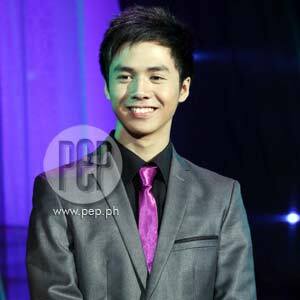 Sam Concepcion laughs off issue that he walked out because he was dethroned as the top Candy Celebrity Boy, a title he held for four consecutive years. Singer Sam Concepcion corrects a report saying he walked out from the Candy Fair event after being dethroned by Enzo Pineda as Candy Top Celebrity Boy. The Candy Fair took place last October 2 at the A.Venue Hall in Makati City. The 18-year-old Sam, who held the title of Candy Top Celebrity Boy for four consecutive years, slipped to second place this year. (CLICK here to read related story). In an exclusive phone interview with PEP (Philippine Entertainment Portal) this morning, October 14, Sam said that even before the event he already knew that Enzo had snagged the top spot. "You know, it wasn't much of a surprise.... But I still felt the fans were very warm, 'cause they were still there and they are very appreciative. "Actually, I am No. 2 this year. So I've been with Candy for four years now. Yeah, I'm really thankful to Candy," he said. He went on to explain his early exit from the event, which began the rumor that he walked out. "It was kind of funny when I found out about that," the young singer said. "I was actually there an hour before I got onstage. I had to leave early because I had a book launch in Rockwell. "I don't know where that came from. So, that was funny. The people from Candy, they know naman that I have to leave early and everything. So, yeah, I don't know where it came from." NEW SHOW. Meanwhile, Sam is set to do a new teen-oriented show on ABS-CBN called Good Vibes. The show also includes his fellow Gigger Boys Enrique Gil and Aaron Villaflor, as well as Pinoy Big Brother Teen Clash of 2010 alumni Fretzie Bercede, Bret Allan Jackson, and James Reid. "I'm really looking forward to this because I'll be working with a lot of people I haven't worked with before," Sam said. Sam and the other boys in the cast will be playing members of a dance crew. "That's what's pretty much exciting about it. Basta yun!" the teener said.